So I had a day off and was wondering what to do since I can’t laze around like I could before. I could literally stay in bed for a whole day earlier and be totally unapologetic about it. Not anymore, meh. So back to the story, I was wondering what to do while doing my makeup and thought “eeww my makeup brushes really need a cleanse right freaking now”. So why not tell you guys how I clean my makeup brushes? It is important to clean your makeup brushes regularly because unclean brushes mean inviting closed pores, bacteria, blackheads which ultimately lead to acne. 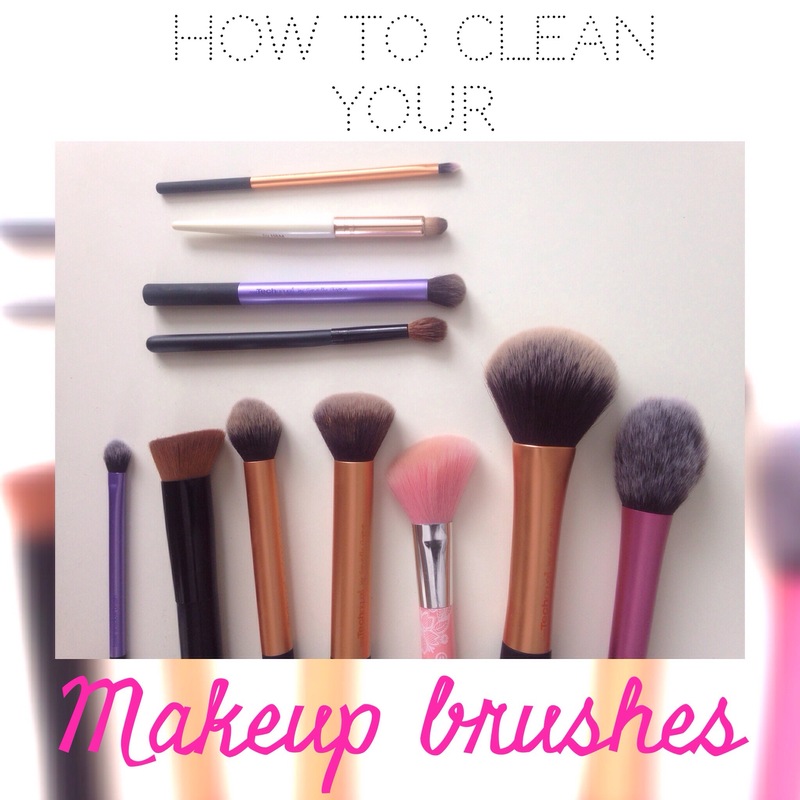 Give them a regular cleaning and ensure that your makeup routine isn’t giving you bad skin. Most of them are RealTechniques brushes, by the famous YouTube Pixiwoo sisters. Other than these, I have brushes from H&M, Sephora, local drugstore ones and one from Essence. I don’t have many brushes and there are a few on my wishlist. I store them in a penholder kinda thing. I’m looking for another box/holder as I want to order more brushes and it’s quite full already. Cleaning your makeup brushes can be a pain, but lemme assure you: when they’ve dried and your makeup looks flawless afterwards thanks to the clean brush, you’ll thank yourself for having washed it. You could clean them in between with a brush cleansing spray, but it’s highly recommended to wash your brushes like this once a week. Alrighty, let’s do this! What do you need? – A bowl. I use this plastic one. – A soap free gel wash. I use this one which is for babies. I’m sure Johnson & Johnson have something similar in their collection. So for starters I take the brush which is the nastiest. That’s my buffing brush because I use it for liquid foundation. I put a little bit of water in the plastic bowl and just a bit of soap. Then twirl the brush around a bit and see the water going yuck. Then renew the water & swirl it again till the water goes as clear as possible. And there you go! Reshape the brush a bit and let it air dry. Do not leave the brushes in a vertical position while drying because that can make the bristles loose. Lay down on a towel until bone dry. There you go! These brushes will be your best friends again and make your makeup look flawless!